For over 2 decades the Tri-Star Auto Group has made it their mission to provide a first class truck shopping experience to our valued customers throughout Blairsville, Kittanning, Johnstown, Greensburg, Indiana, Somerset, Tyrone and Uniontown Pennsylvania. With our vast selection of new and used trucks. Browse our current inventory in a comfortable, stress-free shopping environment. Visit us to take a test drive, learn more about financing or service your truck and we can assure that you’ll always be well taken care of! Find the vehicle you want and we’ll make arrangements to bring it to the location nearest you! If you don’t find the right vehicle let us know and we will find it for you! It’s no problem if you don’t see a new truck that fits into your budget. We’re also stocked with a broad array of Certified Pre-Owned (CPOV) Ford, Dodge, RAM and Nissan used trucks. At such affordable pricing, you’ll save money on a pre-owned vehicle without sacrificing style, capability or comfort! Now, we know auto financing is often a confusing process but that won’t be an issue when you buy or lease from us! Our auto finance team will make it easy for you to secure a fair market price on your next vehicles. Leave the details to us and you’ll be driving a top-quality new car or truck without exceeding your budget! You’ll also want to take advantage of our Service and Parts Centers to keep your vehicle in top condition for countless miles of daily driving. Our Ford, RAM, Dodge and Nissan experts know everything about your vehicle and we’ll employ their expertise to provide the best possible care for your vehicle! 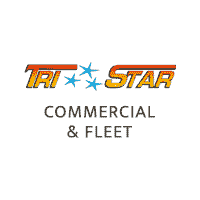 At Tri-Star Commercial Trucks, our goal is to make the process of buying and maintaining your vehicle as smooth and efficient as possible. Our expert team of professionals will be happy to answer any questions you may have and get you set-up for a test drive. If you’re ready to do business with the best, then follow step-by-step directions to the most convenient Tri-Star location for you!